Azamethiphos is a veteran organophosphates used almost exclusively for the off-animal control of houseflies and nuisance flies as well as crawling insects in livestock operations: stables, dairy premises, piggeries, poultry houses, etcAzamethiphos is first known as "Snip Fly Bait" "Alfacron 10" "Alfacron 50" from Norvartis. 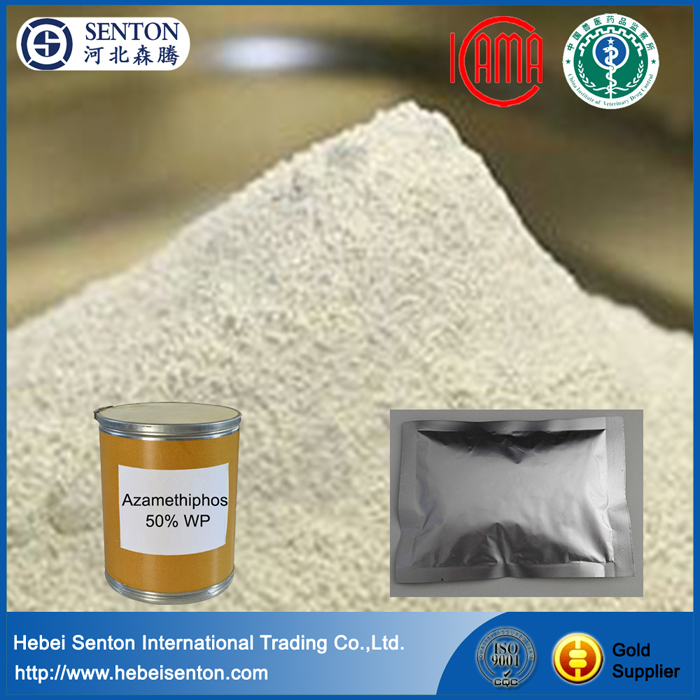 As the manufacturer for Novartis initially, we have developed our own Azamethiphos products including Azamethiphos 95% Tech, Azamethiphos 50% WP, Azamethiphos 10% WP and Azamethiphos 1% GB. ICAMA Certificate, GMP Certificate are all available. Best quality with best effective as the Adulticides for Fly Control. Supplying Reasonable and Competitive Price as the International marketing company for the factory. While we are operating this product, our company is still operating on other products, such as Mosquito Larvicide, Veterinary, Medical Chemical Intermediates, natural insecticides, Insect Spray and so on.HEBEI SENTON is a professional international trading company in Shijiazhuang, China. Major business include Agrochemicals, API & Intermediates and Basic chemicals. Relying on long-term partner and our team, we are committed to providing the most suitable products and the best services to meet the customers` evolving needs. Looking for ideal Dairy Premises Piggeries Poultry Houses Manufacturer & supplier ? We have a wide selection at great prices to help you get creative. All the Off-animal Control Of Houseflies are quality guaranteed. We are China Origin Factory of Crawling Insects In Livestock Operations. If you have any question, please feel free to contact us.